A couple weeks ago, Jacob and I made the decision to change our Instagram account. Specifically, we decided to update our account from having both our names, to just listing mine — Selena Taylor. Since starting @finduslost, a lot has changed — both with us, and with Instagram as a platform. Before I dive into the reasons we made this change, let me quickly recap how our instagram even came about. Back in 2016, Jacob and I made the decision to leave Los Angeles and try living in Amsterdam for one year. We both wanted to travel more and experience life in Europe. 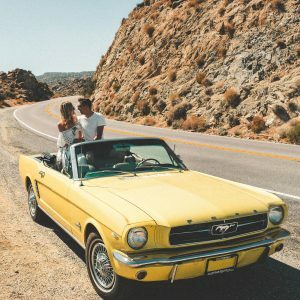 We were so excited, because not only were we moving, we were also road tripping for three months through Europe! I had given notice at my job and our friends and family were asking how they could follow along with our travels, and if I’d be starting a blog. I said I was too busy to blog (oh, the irony), but that I’d start an Instagram so I could share photos of our adventures together. That’s how @finduslost began. I came up with the name, and it quickly became a fun project for the two of us. Keep in mind this was way before we ever knew someone could make money on instagram, or get a free stay at a hotel. In the beginning, we actually weren’t even planning on posting photos of ourselves! Now, Instagram is saturated with travel accounts and it’s common knowledge that ‘influencers’ get paid to travel the world. There’s also plenty of accounts of photogenic couples, traveling and seemingly documenting their picture perfect lives on a daily basis. 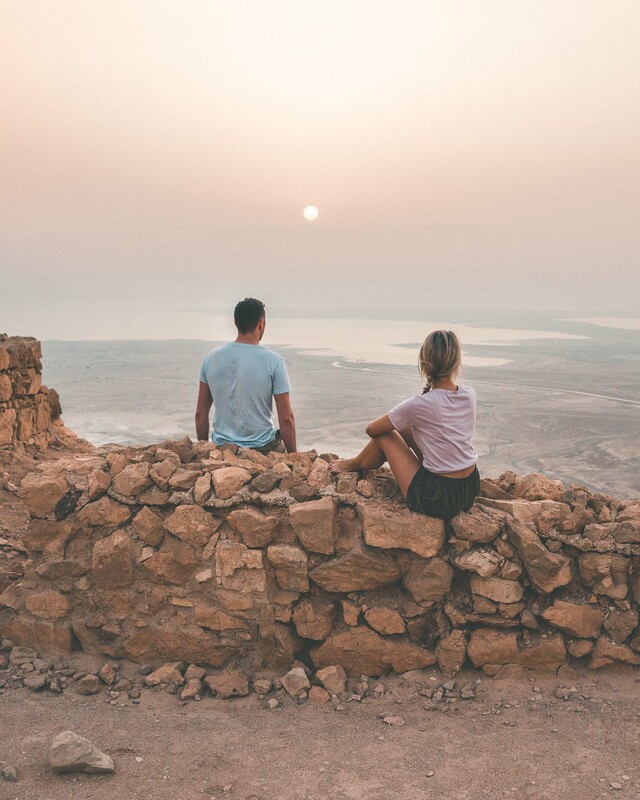 In the influencer space, it’s well-known that photos of couples perform better, which leads to more followers, more brand deals, and higher rates for posts. Hear me out. Yes, both our names have been on our account. Yes, we’ve posted plenty of photos with the two of us together. But at the end of the day, Jacob and I decided early on (a month into our 2016 travels) that we couldn’t both run the account together. So Jacob took our photos, while I edited them, posted them, and wrote out our captions. It worked way better than us talking over every photo we wanted to post and trying to co-write captions from both of our perspectives. As time went on, I started taking over most of the responding to comments and messages. Eventually, I took on all of the day-to-day inquiries and comments. Most of our long-time followers know that if they send us a message, I’m the one behind the account responding (unless you’re asking about camera gear, in which case I always hand you over to Jacob!). It works really well. What doesn’t work well for us is pretending as if we’re one human with one opinion – because we’re not. We really wanted a photo of both of us floating in the arctic sea in Finland, but it was impossible. The temperature was below zero! Our camera batteries kept dying so quickly from the freezing temps, and the only place for our tripod was on the ice. At one point a random guy on our tour floated into the frame and I almost considered using that photo and pretending it was Jacob! Our account started naturally, not as a way to start a business or ‘get Instagram famous’. More than 90% of the time, it’s just the two of us traveling together. That means that any photos of the two of us are taken with our faithful tripod and a self-timer, or our remote. That also means these photos are thought out, staged, and planned. There’s nothing wrong with this, but it does mean that we’re setting up and ‘posing’ rather than taking in a beautiful view. I love some of the photos we’ve taken in this way, and we’ll still take photos like this when it make sense. But it’s not the way to truly soak in a moment. When we’re traveling with other people, they’ll oftentimes get photos of the two of us together. Yes! No setting up a tripod and watching others stare as we take photos of ourselves! (Yup, this has occurred plenty of times and is always still uncomfortable.) Have you noticed how couple accounts on Instagram these days share photos mostly of the two of them? That’s some serious hard work! That means a) they are carrying around and setting up a tripod everywhere they go, b) they are always traveling with friends or other influencers, or c) they’ve hired a professional photographer(s) to follow them around. Honestly, none of these are commitments we’re willing to make. I love the travels we share together and I’d much prefer it be the two of us, as it has always been. When you read our blog, you know it’s me writing. I’m also the one posting Facebook updates, tweeting, and pinning images on Pinterest. I absolutely love writing for our blog, and it truthfully wouldn’t exist without Jacob. But at the end of the day, the blog is my passion. I wanted to write travel guides, share tips and recommendations, and grow a community. Jacob helped me from the very beginning, researching how to start a blog when we were road tripping through Italy in 2016. And he supports me every single day, from taking photos, to handling our finances (hallelujah! ), to talking over brand collabs, to being my biggest cheerleader in life and with Find Us Lost. Instagram has been our last holdout, and it just doesn’t make sense anymore to have both of our names. What’s important to note is: nothing about our content is changing, and Jacob isn’t going anywhere! Plus, now you know who’s on the other end responding. To get the photo on the left, we put our camera on a tripod in the middle of the road in the Cotswolds and fired off photos with our remote (which is how we get most of our ‘couple’ photos). It took a few tries to frame the shot with us in the center. We kept having to move the tripod out of the road for cars! Read more about the camera gear we use to take photos here. Instagram is constantly changing, and so is the ‘influencer’ industry. 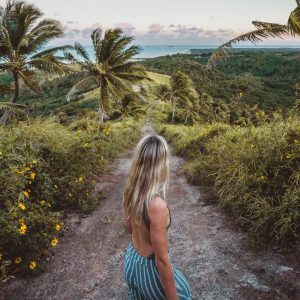 Let’s face it: Instagram could be gone tomorrow and tons of travel influencers could be out of work! We don’t want that for ourselves. We didn’t set out to make a living off Instagram (and it’s important to note that we don’t — alongside @finduslost, we make money through our blog, photo and video content creation, and other freelance work). Jacob has always been the type of person to pursue multiple endeavors, so I’m freeing up his time to do just that. As we’ve been traveling the past couple of years, he’s also been working with a non-profit organization based in New York City. And yes, that’s why we recently moved into a new apartment in NYC! I can’t think of a better way to grow our brand than to support him. I want to pursue my passion and still maintain the flexibility to work remotely or move around; so that he can pursue his passions as well. At the end of the day, we want to take photos we love, not because we feel the pressure to be in every photo. And especially not just so we can succeed on Instagram. Our account @finduslost started because we wanted to create something together, and so we did. And it’s grown to something bigger than we ever could’ve imagined! This change is such a positive one for both of us, because it frees me up to be myself to the fullest and to also share more of what we do together. And, it frees Jacob up to be involved in the ways he loves to be. That’s huge for us. Both of these photos have some of our favorite memories behind them. The one on the left we took during our first trip to Manchester, in the most amazing hot tub we’ve ever experienced! The one on the right was taken on one of our favorite day trips from Amsterdam to Keukenhof with our friends Chris and Danika (No Destinations). I’m really excited about this update, and I hope you are too. Thank you for reading and for being a part of our journey. And if you don’t follow us on Instagram already — come say hi to me on @finduslost! Aww thanks Jerome. 🙂 All positive changes! Thanks for sharing! I just left an IG comment about it, but wanted to come read. I feel a lot of pressure to be in photos too – UNTIL I asked my followers if that’s what they preferred and much to my surprise people liked a mix of people and no people in photos, not strictly all people. 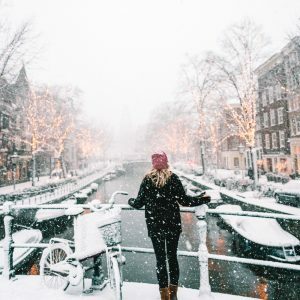 And I agree – there is just SO much pressure and I do love the beautiful photos, but I’m looking for more travel moments that aren’t planned and posed as well. It’s great that you’ve got so many lovely shots of the two of you together. We actually want to get more of the two of us but we rarely get the opportunity to set the tripod up – some places are too busy, or we’re rushing off to the next photogenic destination ;-). I understand your reasoning completely.